Each session is 10 minutes. Our Certified Camp Counselors provide Campers with lots of care and attention during their stay. But, if you would like your pup to receive a little extra Snuggle Time (cozy blanket, story time, bedtime poem, and more!) or Play Pals time (game of fetch, tug-of-war, or an interactive treat puzzle, and more!) 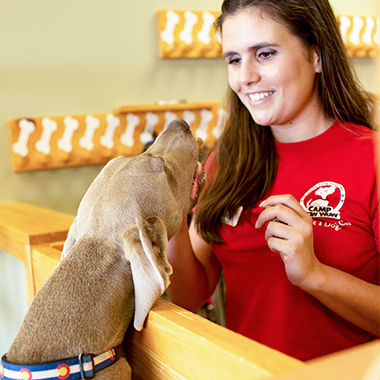 we will be happy to provide some extra TLC during your pup's Overnight or Day Care stay.